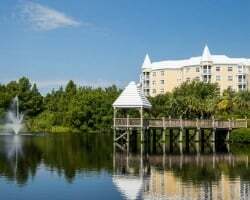 The Blue Heron Beach Resort offers all-suite accommodations, and is located in Orlando, less than one mile from Walt Disney World! 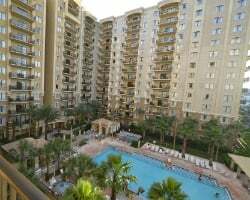 Lake Buena Vista and SeaWorld are nearby, too- just a few minutes away! The suites at the resort feature full kitchens and bunk beds for the kids. 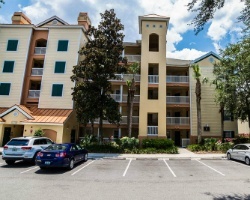 Enjoy views of Disney's fireworks from the observation landings of your high-rise condo! 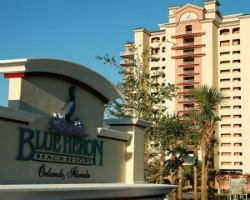 For more information about this fantastic Florida retreat, visit www.blueheronbeachresort.com. Relax in your own 1 or 2 bedroom villa, complete with all the amenities! It's perfect for business travelers, couples, and families looking for the ultimate in serenity and comfort. 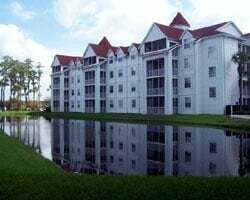 *Blue Tree Resort at Lake Buena Vista* affords travelers all the comforts of a fully furnished home, and within minutes of downtown Orlando. 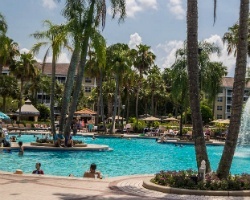 On 16 lushly landscaped acres, the resort is also close to exciting area attractions such as Walt Disney World, Universal Studios, and Sea World. A leisurely stroll also gives you access to numerous restaurants and shopping. 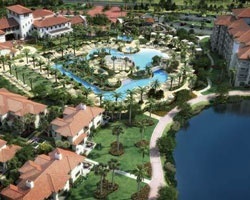 *Oasis Lakes at the Fountains* brings you the ultimate in Florida vacationing. 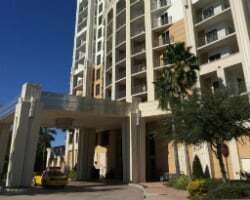 Centrally located to all of Orlando's popular area attractions, the resort is only five miles from Walt Disney World and two miles from SeaWorld. The resort is located on the shores of beautiful Lake Eve, which offers fishing and paddle-boat rides. Ocean beaches are approximately 60 miles away. Once you've visited the local attractions, spend the rest of your vacation enjoying all of the activities the resort offers. Amenities include an indoor and outdoor swimming pool, a children's pool, and tennis courts. Orlando is the nation's number one vacation destination. From Walt Disney World to Universal Studios Florida to SeaWorld, Orlando is filled with colossal theme parks and water parks of every description. After a day of thrills, you can satisfy your appetite with your choice of everything from hot dogs to haute cuisine at Orlando's countless restaurants. This city truly sets the standard for family fun. 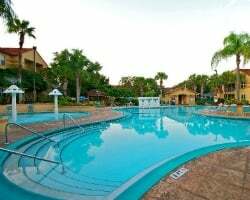 Orlando's Sunshine Resort is just minutes from the area's best attractions, shopping, dining, and entertainment. Yet, this resort is a haven of serenity. Tuck the kids into bed and retreat to the master bath for a glass of champagne in your own swirling whirlpool! Orlando is the nation's number one vacation destination! From Walt Disney World to Universal Studios Florida to SeaWorld, Orlando is filled with colossal theme parks and water parks of every description. After a day of thrills, you can satisfy your appetite with your choice of everything from hot dogs to haute cuisine at Orlando's countless restaurants. This city truly sets the standard for family fun. 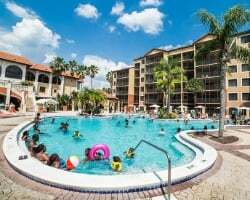 *Orlando's Sunshine Resort* is just minutes from the area's best attractions, shopping, dining, and entertainment. Yet, this resort is a haven of serenity. Tuck the kids into bed and retreat to the master bath for a glass of champagne in your own swirling whirlpool! Guests visiting *The Fountains* will enjoy an immense 20,000 square foot clubhouse which houses a gift shop; H2O, a restaurant and lounge with a remarkable assortment of wines by the glass; a teen center; and a kid's activity center with video games, air hockey and billiard tables. A slice of freshly made double fudge cake and a cup of Barnie's Coffee is the perfect pick-me-up at Mug o' Joes, the clubhouse coffee shop. Just opened - Wakoola Springs, a 75,000-square-foot additional pool area! Come to *Bryan's Spanish Cove* where enchantment and amusement will fill your holiday! Nestled in a picturesque setting on the shores of Lake Bryan, this resort offers you a bounty of resort based activities that will give your entire family vacation memories to treasure for a lifetime! Choose your fancy: sheer relaxation, exhilarating recreation or a combination of both! It's all here on the shores of spring-fed Lake Bryan, which boasts superb canoeing, paddle-boating, water sports and some of Florida's finest bass fishing. For more information about this resort, please visit www.diamondresorts.com. Not only is it in Orlando, it's only one mile from Disney's gates! 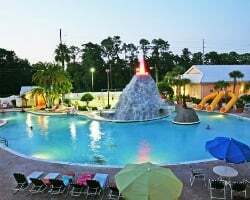 *Cypress Pointe Resort* offers more than just a superb location, though- the resort features an outdoor pool with a volcano and water slide! Tennis, volleyball, mini-golf, a whirlpool, fitness room, children's playground and more are also on-site. The accommodations are Caribbean in theme and relaxing through and through, serving as a great resting point after an exciting day at the parks. With excellent dining, parks, golf, shopping, water sports and more so close by, guests will never feel they've nothing to do! 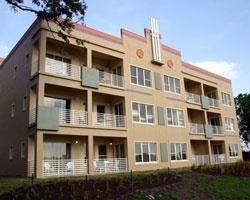 For more information about this centrally located retreat, visit www.cypresspointe.net. 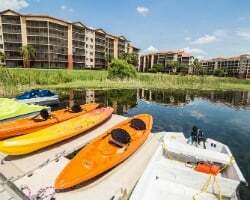 Just one mile from Disney World, this secluded, quiet, lakefront getaway provides a luxurious home base from which to explore the Orlando area's numerous sights and activities. Sunbathe beside the pool at *Diamond Resorts Grand Beach I* with a cold drink, or unwind in the spa. Fish directly from the resort, or take a canoe excursion along Lake Bryan. Nearby, you can water-ski. If golf is your game, you're surrounded by hundreds of world-class courses. Plenty of excellent restaurants, exciting shops and lively nightspots are all close to this beautiful resort! 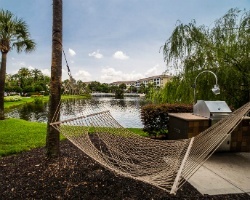 Just one mile from Disney World, this secluded, quiet, lakefront getaway provides a luxurious home base from which to explore the Orlando area's numerous sights and activities. Sunbathe beside the pool at *Diamond Resorts Grand Beach II* with a cold drink, or unwind in the spa. Fish directly from the resort, or take a canoe excursion along Lake Bryan. Nearby, you can water-ski. If golf is your game, you're surrounded by hundreds of world-class courses. Plenty of excellent restaurants, exciting shops and lively nightspots are all close to this top-rated resort! Not only is *Diamond Resorts Grande Villas* in Orlando, it's only one mile from Walt Disney World's gates! The resort offers more than just a superb location, though. Tennis, volleyball, mini-golf, a whirlpool, children's playground and more are all right on-site. The accommodations are Caribbean in theme and relaxing through and through, serving as a great resting point after an exciting day at the parks. With excellent dining, parks, golf, shopping, water sports and more so close by, guests will never feel they've nothing to do! 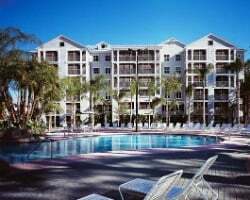 For more information about this centrally located retreat, visit www.diamondresorts.com. 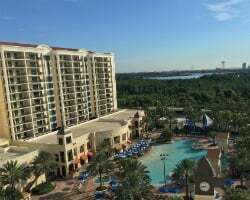 The vacation hot-spot that is Orlando is home to *Floridays*, a beautiful resort offering convenience and plenty of amenities. 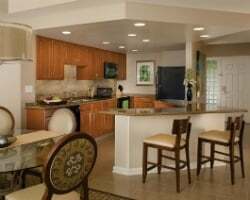 Suites feature full kitchens, private balconies, plasma TVs and high-speed Internet. At the resort, guests will enjoy the outdoor heated pool, fitness center, room service, a game room, business center, meeting facilities, and more! 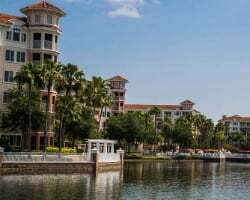 As Floridays is located right on South International Drive, guests will also enjoy easy access to all that Orlando has to offer including its famous theme parks, which the resort offers a free shuttle service to and from. 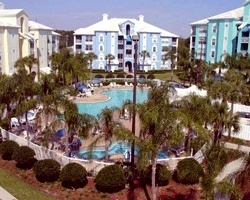 For more information about this exciting slice of Florida, visit www.floridaysresort.com. 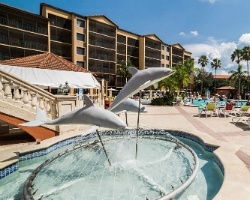 Discover Orlando's best dining, shopping and world-renowned attractions while visiting the fabulous *Hilton Grand Vacations Club at SeaWorld* located next to SeaWorld of Florida! Spacious, spectacular, condominium-style accommodations await you at this preferred vacation destination. 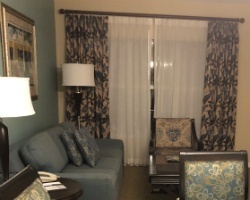 Each Hilton Grand Vacations Club resort provides a welcoming 'home away from home' atmosphere... and all are complete with thoughtful comforts which set the stage for grand vacations and great getaways. An Orlando vacation means magical entertainment and unforgettable fun! To discover more, visit www.hiltongrandvacations.com. 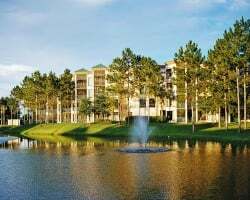 Situated on 34 acres at the southwest intersection of International Drive and Vineland Avenue, the *Hilton Grand Vacations Club at Tuscany Village* is within minutes of Walt Disney World and adjacent to the Orlando Premium Outlets Mall! The property is designed with a Mediterranean theme reminiscent of a Tuscany village. A grand porte-cochere leads to a piazza, providing central access to the Clubhouse, Membership Preview Center and resort facilities. 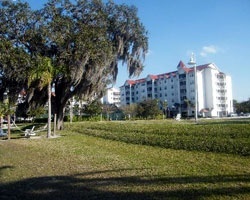 The resort grounds feature lush landscaping, gardens, and a lakefront walking path. Recreational amenities include a fitness center, sports court, and elaborate water features including fountains, swimming pools, whirlpool spas, and an interactive children's pool. 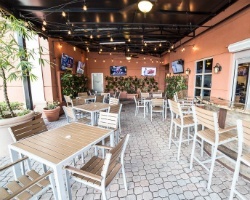 A pool bar and deli, and two Owners Lounge areas complete the distinctive appeal of the new resort in the heart of Orlando. 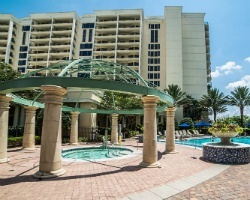 For more information about this beautiful resort or other fabulous Hilton Grand Vacation resort locations, visit www.hiltongrandvacations.com. 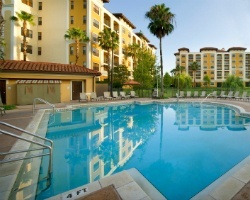 *Las Palmeras, a Hilton Grand Vacations Club* has a prime location amid the Orlando activity. Located just steps from the convention center, 1 mile from Pointe Orlando and a quick drive to shops, dining and entertainment on International Drive. The stylish studio rooms offer a balcony, mini-fridge and 32-inch TV, and some have a sofa bed and microwave. Families have plenty of space to relax in a two-bedroom suite with full kitchen and two 32-inch TVs. Guests can enjoy a wide variety of amenities that offer comfort and entertainment during your stay. Spend a sunny afternoon at the heated outdoor pool, and order a refreshing drink from Acqua Pool Bar. Get a full-body workout at the fitness center with LifeFitness equipment and free weights. A golf course and driving range are just 0.5 mile away. Surrounded by an 18-hole public golf course, *Marriott's Cypress Harbour* offers you a luxurious vacation experience. 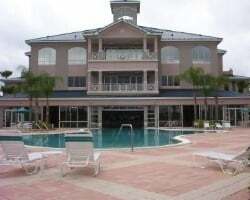 Enjoy the 'Old Florida Keys' style clubhouse and reception center that includes a convenience store. The resort also includes a fully staffed recreation center and fitness center, an indoor children's play area and a video games room. For water-sports enthusiasts, there are three pool areas and a 15-acre lake for fishing and boating. *Marriott's Grande Vista* is remarkable for its serene setting and a feeling of seclusion. Cool waters sparkle at every turn -- from the warm, clear waters of four separate pool complexes to a quiet lake where boats of every size bob and beckon. Retreat to the comfort of a one- two- or three-bedroom villa appointed with spacious living and dining areas, full kitchen, and master suite with over-sized soaking tub. Also featuring guest rooms with 300 square feet of living space, a bar-sized refrigerator, and microwave, king bed and queen sleeper. For golfers, there's the Faldo Golf Institute by Marriott. Tee up to a 9-hole course, 35-acre practice area, state-of-the-art teaching facilities and a Faldo certified instructional faculty to accommodate all levels of students. Directly across from the resort, you'll find Marriott's Grande Pines Golf Club and a dynamic new 18-hole course designed by renowned course architect Steve Smyers. Not to mention that all of the adventure and thrill of Orlando is at your door! 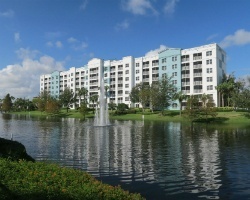 Just minutes from Orlando's popular attractions, *Marriott's Harbour Lake* features roomy two-bedroom accommodations. 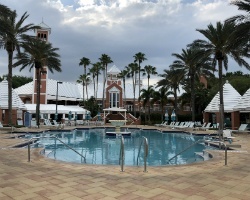 Amenities on site include The Welcome Center, a themed pool and whirlpool spas, Harborside Bar and Grill, WaterWorks - an outdoor water playground, The Boardwalk, Horizons Landing - a perfect way to relax and enjoy the sunsets, The Gym, The Den, Function Junction, and an outdoor pavilion. 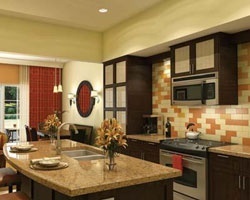 *Marriott's Imperial Palm Villas* has redefined the luxury vacation in Orlando. Your three-bedroom, two-bath villa boasts a private balcony, spacious living and dining areas and a full kitchen. No doubt, this resort will satisfy your grandest expectations! 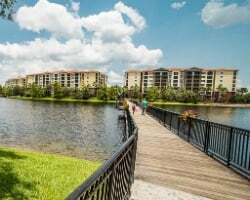 *Marriott's Lakeshore Reserve at Grande Lakes* is a brand-new property located in the middle of all the Orlando excitement, surrounded by theme parks, excellent dining, shopping and golf. The resort itself juxtaposes the liveliness of Orlando with a serene, luxurious atmosphere. 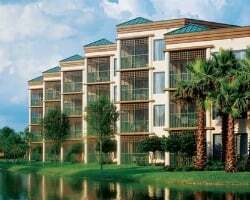 Guests of Lakeshore Reserve will enjoy access to the amenities afforded by JW Marriott Orlando, Grand Lakes, and the Ritz-Carlton Orlando! 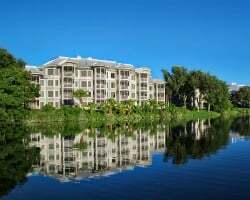 Conveniently located in the heart of Central Florida, the beautiful two-bedroom, two-bath luxury condos at *Marriott's Royal Palms* are encircled by the horseshoe-shaped lagoon of the Hawks Landing Golf Course at the Orlando World Center Marriott Resort and Convention Center. 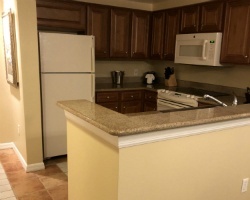 All condos have jetted tubs, fully equipped kitchens with microwaves, and washers and dryers. 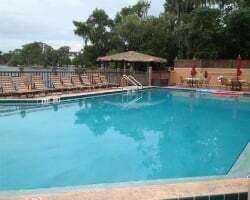 The resort has a pool, sundeck, whirlpool spas, barbecue and picnic area, sauna, a lighted tennis court, shuffleboard, and The MarketPlace Express convenience store. 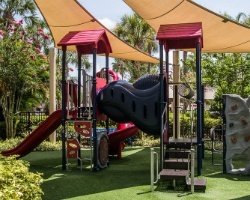 Marriott's Royal Palms is only minutes away from Central Florida area theme parks and attractions. 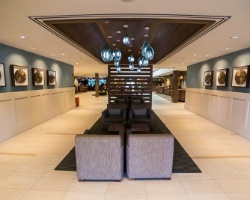 Full use of the amenities at Orlando World Center Marriott is also available. Relax at this vacation paradise resort! Week 51 every year! Buyer may receive a title fee credit, inquire for details! Family resort near all the action! Close to activities and attractions! Week 50! Buyer may receive a title fee credit, inquire for details! Great option for all ages and interests! Floating week every year! Buyer may receive a title fee credit, inquire for details! Prime location to enjoy theme parks! Floating week! Buyer may receive a title fee credit, inquire for details! Price reduced! 3,500 annual points! Points can be used anywhere in the HGVC network! Buyer may receive a title fee credit, inquire for details!! Relaxing resort close to all the Orlando excitement! Week 14! Buyer may receive a title fee credit, inquire for details! Unit can be split up into (5) 1-bedroom units to allow for extended vacations &/or multiple vacations each year! Buyer may receive a title fee credit! Price just reduced! Travel in fixed week 6, or use as a floating week in platinum season! Buyer may receive a title fee credit, inquire for details! Price just reduced! Fixed week that can used as a floating week in platinum season! Buyer may receive a title fee credit, inquire for details! Motivated Seller! All Offers Considered! Price Just Reduced! Great location for all ages and interests! Fixed week 52! New Year's week! Gold plus week 19 or exchange for 67,100 Star Options! This is a great value and wonderful time share.Buyer may receive a title fee credit! Gold plus season! Just minutes from the theme parks & other world-famous attractions! Buyer may receive a title fee credit! Owner ready to Negotiate! Ideal location near major attractions! Platinum week 42! Buyer may receive a title fee credit, inquire for details! 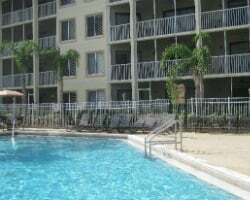 Great resort with plenty of onsite and nearby amenities! Sale includes 7,000 annual points! Buyer may receive a title fee credit, inquire today! 15,818 annual points! Points can be used anywhere in the Bluegreen network! Buyer may receive a title fee credit, inquire for details! Annual week 38 or 5,000 annual points! Motivated seller all reasonable offers considered! Buyer may receive a title fee credit, inquire for details! 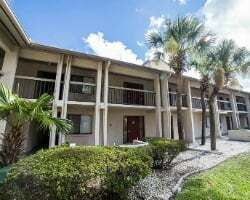 Within close proximity to Walt Disney World, Universal Studios and more! Week 27! Inquire for details! Close to a wide variety of theme parks! All Offers Considered! Buyer may receive a title fee credit, inquire for details! Highly Motivated! Enjoy platinum season week 40! Friday check in/out! Buyer May Receive A Title Fee Credit, Inquire For Details! Just Reduced! Motivated Seller! Convenient location to theme parks! Week 20! Motivated Seller, Willing to Negotiate. Stay close to all the excitement in Orlando! Floating usage! Buyer may receive a title fee credit, inquire for details!